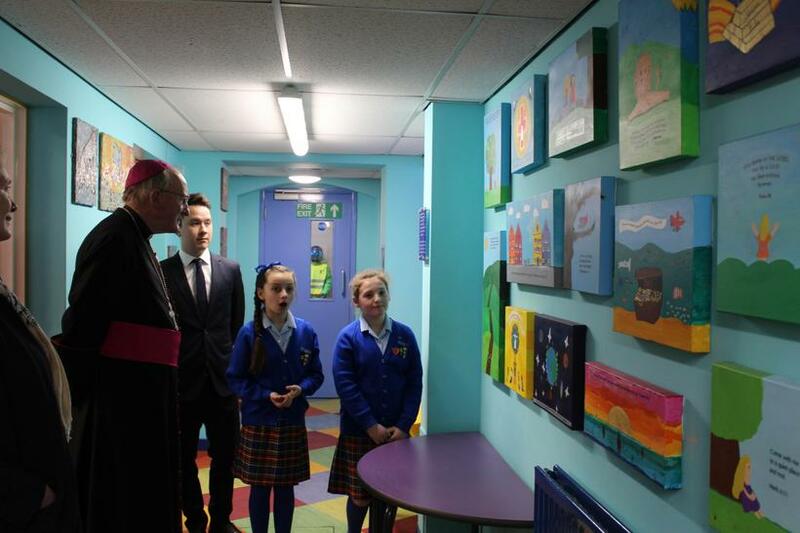 "This is an inspiring school. 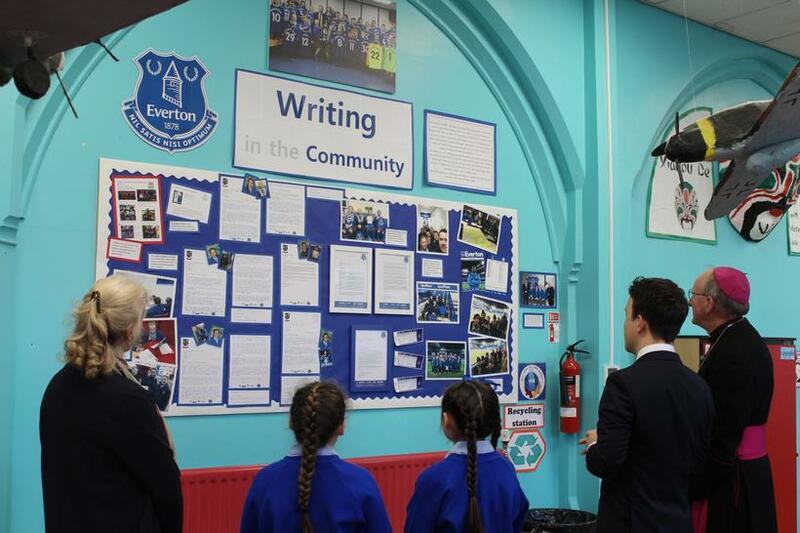 It feels like home." 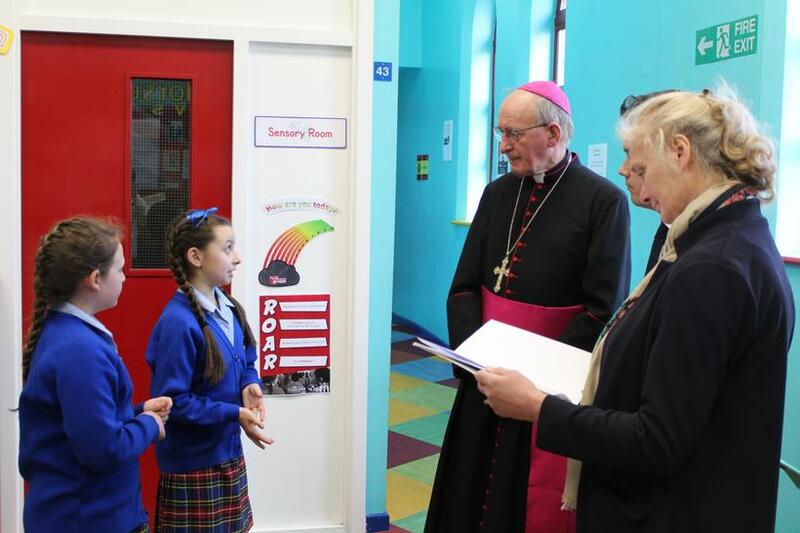 Today we were blessed with a visit from The Right Reverend Tom Williams, or 'Bishop Tom' as he asked to be called. 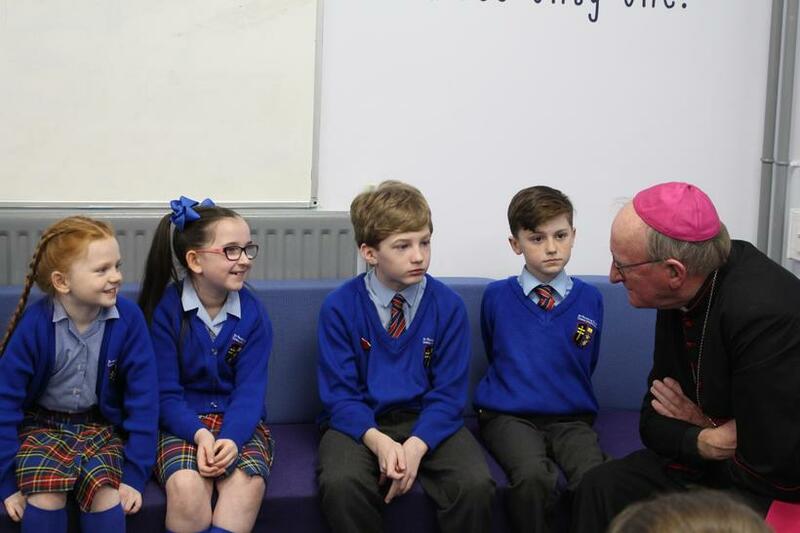 Bishop Tom spent the entire morning in school, speaking to Mr. Reidel, his staff and of course, our wonderful children. 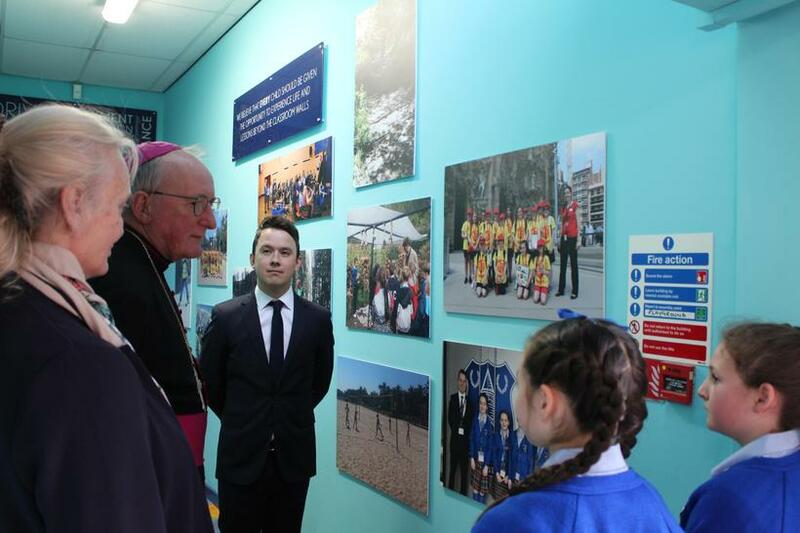 Two Year 6 pupils, alongside Mr. Wah and Chair of Governors Sue Faulkner, took Bishop Tom on a tour of the school to show him all of the hard work and successes of St. Francis de Sales Catholic Junior School. 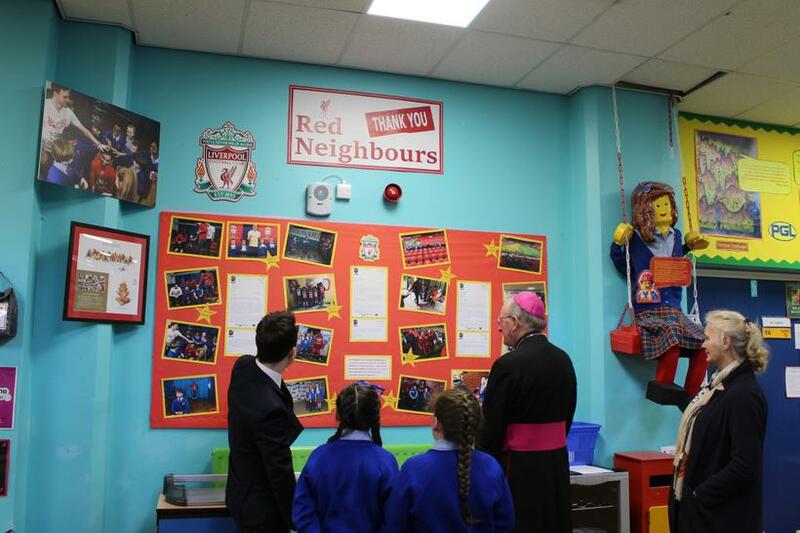 As well as providing our children with the opportunity to proudly showcase the diversity of our curriculum, this tour also sparked great discussions about interfaith dialogue, equality, local history, skiing and the importance of sport. 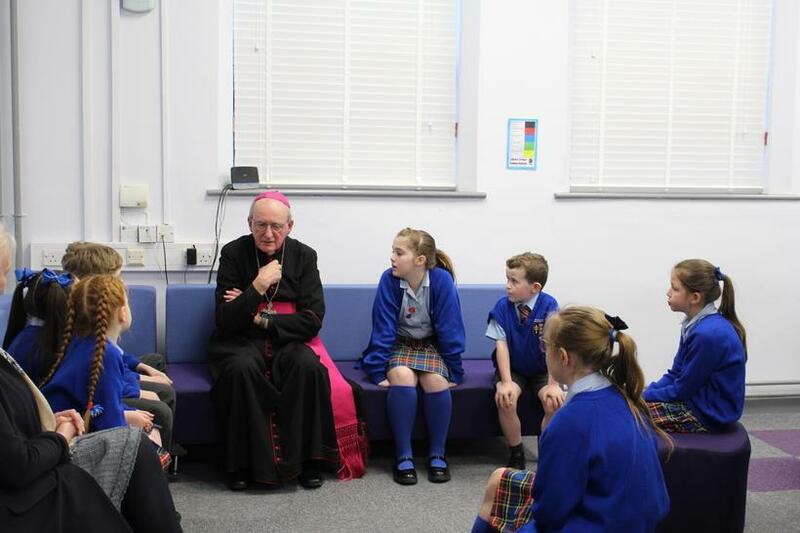 After his tour, Bishop Tom met with a group of students from different year groups for a Q&A session about his life and his interests. 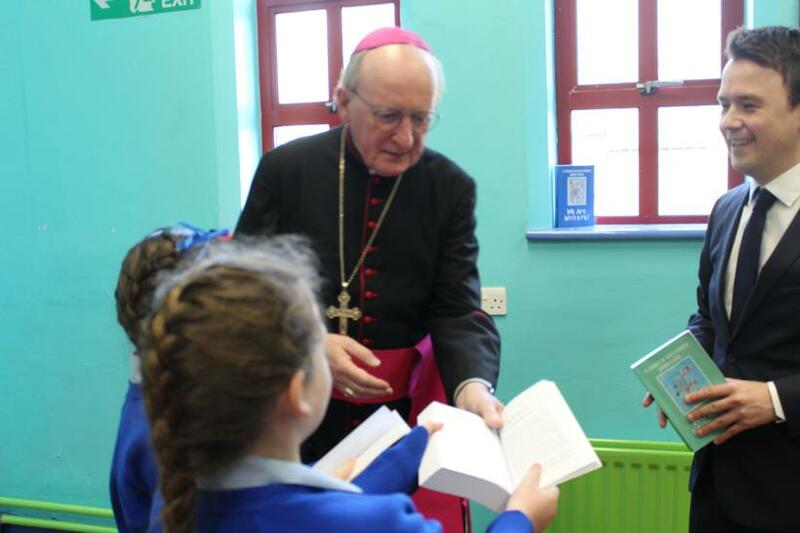 The answers were all very insightful, but perhaps the most interesting was drawing parallels between the Bible and our 'We Are Writers' book, as they are both a collection of stories from different authors with a clear split in the middle. 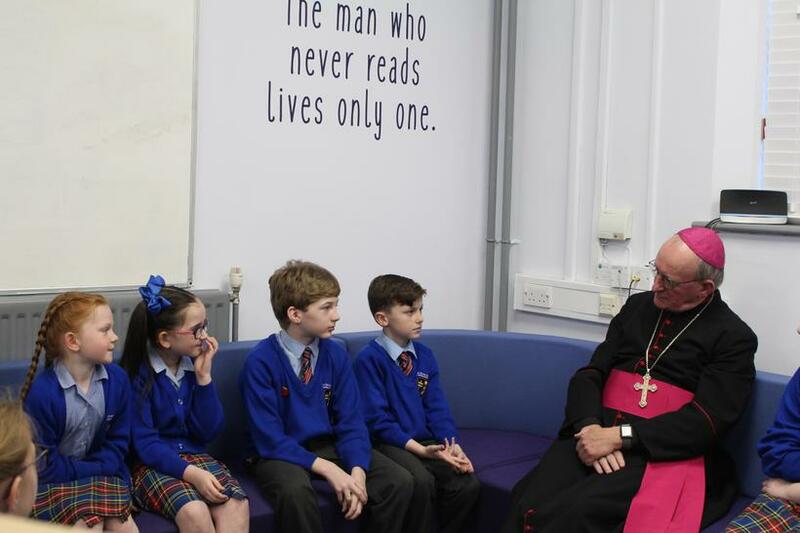 At the end of the morning, Bishop Tom was so impressed with the inspiring work and welcoming nature of the school, that he described it as feeling 'like home' and that he had thoroughly enjoyed his morning. 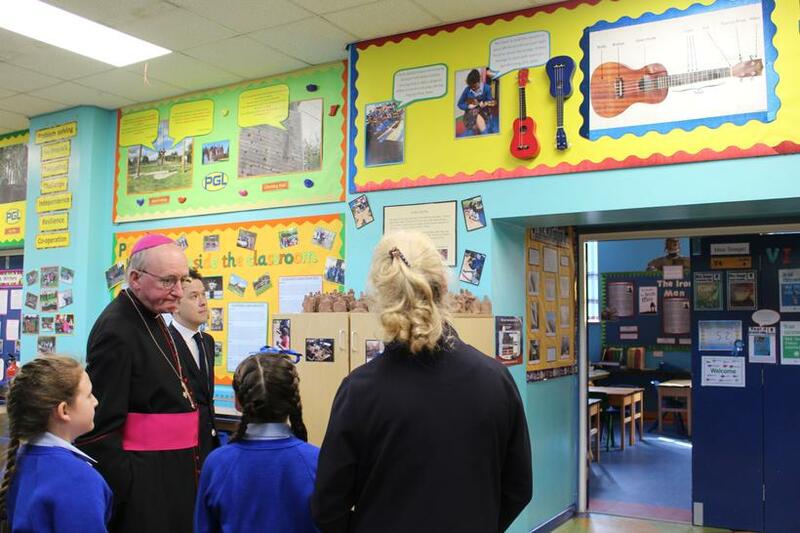 It was a pleasure to be able to show Bishop Tom around, and we look forward to welcoming him back soon.